Located .6 miles SW of Cunningham on west side of Cunningham-Hatton road, in SE corner of SW1/4 NW3/4 Sec. 4 Twp. 16N. Range 32 E WM. No date established as original papers were lost. About 1 acre in size. Earliest birth on stone is 1831; earliest death is 1899. Inscriptions copied May 19, 1975 by Georgia Hays. 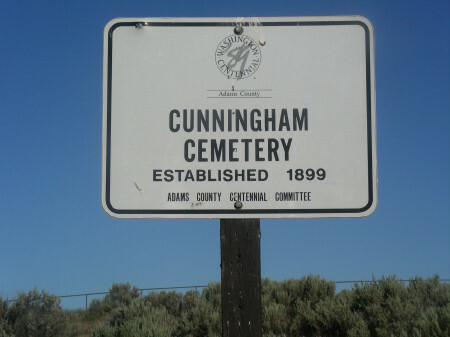 There are only about 26 gravesites in this cemetery.